Artistic Glass Co. kindly gave the permission to use these photos. 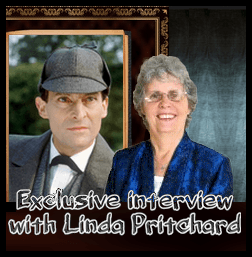 Ours is the first Sherlock Holmes webpage that is allowed to do so. Joseph Aigner is a fantastic, extremely talented stained glass artist. 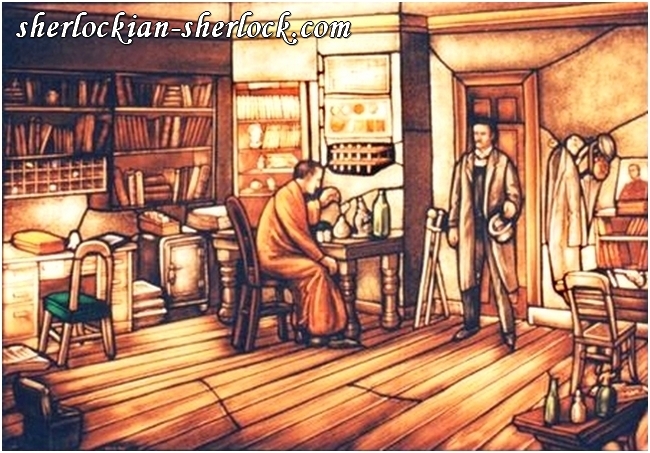 We would like to present his fascinating Sherlock Holmes glass pictures, and naturally some information on his life and other artworks as well. 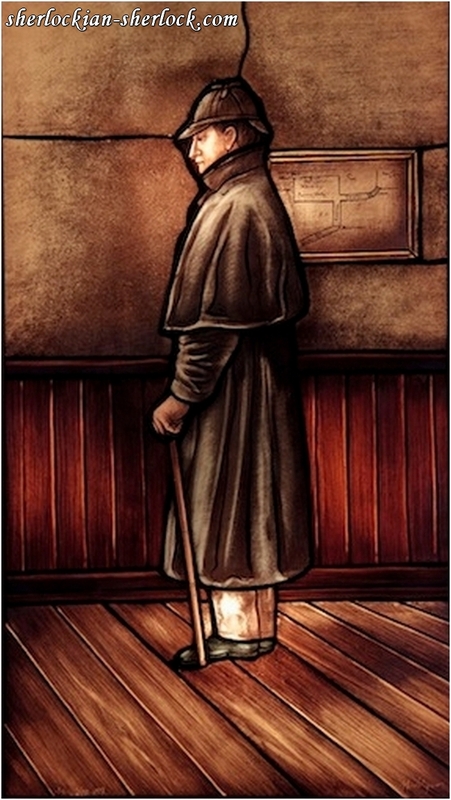 He learned the art of stained glass from his father at a very young age. He studied at the Luiesen School of Art in Munich, and after that he spent four years at the Maische Academy of Art in Munich. This was followed by another three years of travelling and studying. He toured many places throughout the world and designed, constructed and restored stained glass windows for several cathedrals. In France his master was Charles Marg, so he had the chance to learn close to the works of Marc Chagall – the painter himself painted beautiful glass windows. In 1969 Mr. Aigner founded his own company in Toronto, under the name of Artistic Glass. It developed fast, and became the decisive workshop in North America. On the 17th World Youth Day in Toronto the Pope John Paul II admired its artworks. The company is still very successful and offers wonderful, high-quality products. They represent the style, sensitivity and the knowledge of the old world’s glass art. Joseph Aigner earned his Masters Degree in stained glass art in Hadamar, Germany in 1974. Both before and after that he designed many wonderful windows. Today Mr. Aigner is still the dominant figure at Artistic Glass. - St. Theres Church, Lyon – he worked on commission with designer and painter Yoki. - Hotel de Palace, St. Tropez – he worked together with master painter and designer Theodor Stravinsky, the brother of composer Igor Stravinsky. 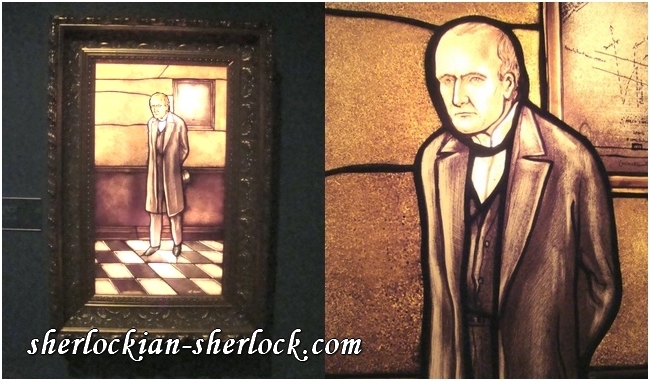 The following beautiful stained glass pictures are part of the Conan Doyle exhibition of the Toronto Public Library. More than 150 Doyle-related objects are displayed there. On the pictures you can spot 110 hidden clues - in case you read the original novels.
" 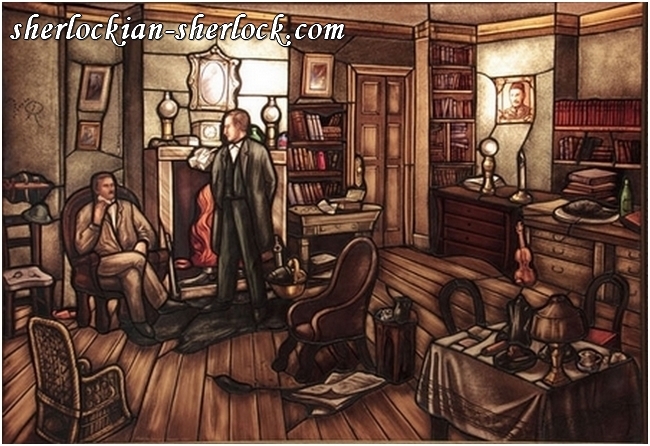 Joseph Aigner glass artist: Sherlock Holmes"